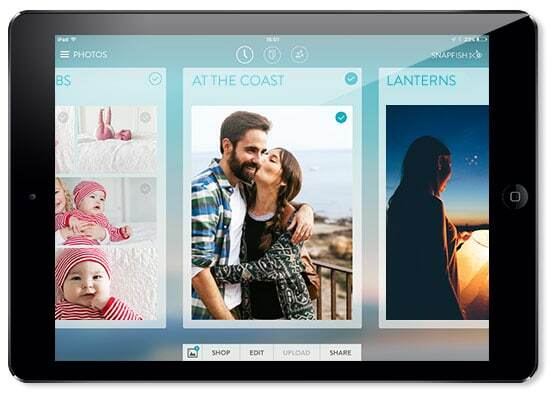 Use our 5 top tips on how to use the Snapfish App, to help you create prints and gifts wherever and whenever you’re inspired. Tip 1. Print on the go for FREE! 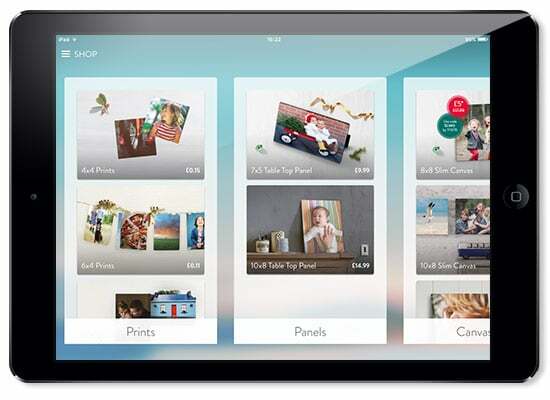 Try the Snapfish App now and get 50 standard 6×4″ prints* every month for the next year. Happy printing! Open the Snapfish App, create an account or sign in. Using the App, select your photos on your phone, Facebook or Instagram accounts. Select the option to upload, then select “edit” to add photos to a new or previously created album. You can add them to a new or existing folder in your Snapfish account which you can view on the mobile App or on the website. You can link your Facebook & Instagram photos with your mobile phone photos and sync your Snapfish web account with the mobile App. To find your Snapfish albums pull down the Timeline view and select ‘My Albums‘ or ‘Friend’s Albums‘. You can move photos around to different albums by selecting “edit” and selecting a new or existing album – your App albums are the same as your web ones. You can link your Facebook, Flickr & Instagram photos with your mobile phone photos and your Snapfish account. Click on the links at the bottom of the screen on the Snapfish App to get straight to the store, share your photo(s), view your selected photos or upload photos to Snapfish from your phone. To find your Snapfish albums pull down the Timeline view and select My Albums or Friend’s Albums. In the main menu you can change country (so you can send orders abroad), view past orders, see how many free prints you have left this month, remove photo sources, view Help and access the Store to create your order. Use PayPal: Don’t worry about typing in your credit card details each time – now you can simply pay by PayPal in one simple click. To place an order, either visit the Shop, choose the item you wish to buy and select the photos, or select the photos and then choose the item you wish to buy. 2. Select the photos to be used, select “Shop” and then choose the item you which to buy. Tagged as how to, mobile app. how do i download the snapfish app on to my desktop or laptop? I opened a new account but it only shows that I have 20 free prints as a new customer, not 50 per month. Can you make photobooks on the app?